 On Thursday, March 28th, 2019, ring in spring and another season of Brewers baseball with Milwaukee’s Opening Day experts since 1976 – Saz’s State House Restaurant on 55th & State! We will be opening bright and early with bar service beginning at 8am and shuttle service to and from Miller Park starting at 11am! At 9:30am, our popular Opening Day Menu returns to fuel you up for the party ahead. Enjoy staples like Jumbo Brats and Dogs, Saz’s Signature Burgers, BBQ Pulled Pork Sandwiches, State Street Wings, and more! Wash it down with Saz’s famous BBQ Bloody Mary garnished with a Baby Back Rib or one of our Brewers Opening Day Grab & Go drink specials (see below! ), then put on your dancing shoes for rockin’ live music by Eric Barbieri And The Rockin’ Krakens immediately following the game! Make Room for Saz’s New Brunch! previous post: Make Room for Saz’s New Brunch!